Tuesday 10:00 a.m. – 4:00 p.m.
Thursday 10:00 a.m. – 4:00 p.m.
Come to the rubber stamp shop in West View, PA, where fun is a given. We are the largest stamp store in the area, carrying everything you need for scrapbooking, card-making, and other arts and crafts. For more than 15 years, our store has proudly served the area’s needs. 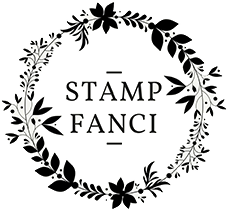 Stamp Fanci maintains a friendly, welcoming environment, fostering creative skills for customers of all ages, sharing the joy and fun of arts and crafts. We want to help everyone learn just how fun scrapbooking can be. Our studio offers classes to both children and adults that are both fun and informative. We want to foster a creative spirit that will last a lifetime for you and your children, providing both the knowledge and the materials necessary to scrapbook, create custom cards, and generally expand your arts and crafts skills. Not only are our classes informative, they’re also a blast. We strive to form friendships with everyone who comes to take a class, hoping you not only learn, but come back for stamp, scrapbook, and card making supplies for all of your arts and crafts ventures. When you need supplies for scrapbooking or card making, we are the stamp shop to contact. We are proud to serve West View, PA, and the surrounding area.